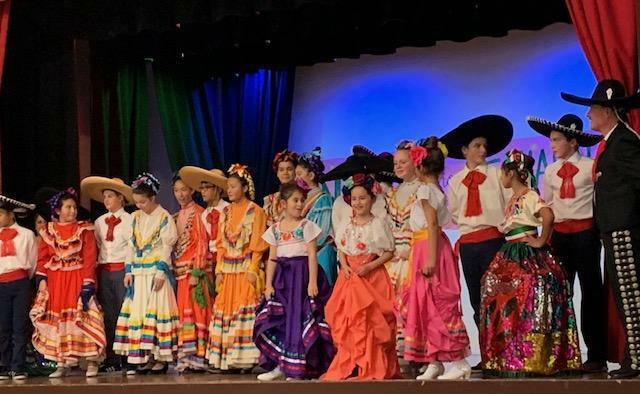 Spanish program is the introduction to the Spanish language and culture to students from Kindergarten through 8th grade. This program main focus is to learn basic listening, speaking, reading, writing skills and techniques; viewing and sharing skills are also developed. Effective communication skills are the primary focus of this course. The major emphasis is that students will have the ability to speak fluently with accurate pronunciation when they graduate from 8th grade. 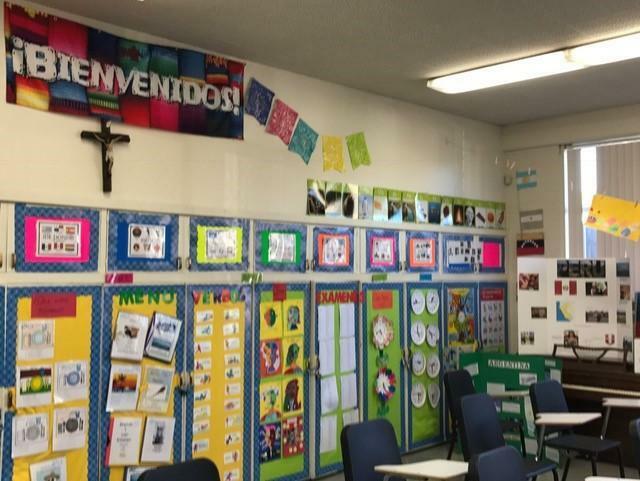 All the skills that the students will learn will foster Spanish-speaking culture appreciation, instruction and interaction. 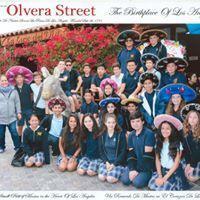 Spanish curriculum is designed to give students a fun, dynamic and meaningful introduction to the Spanish language. 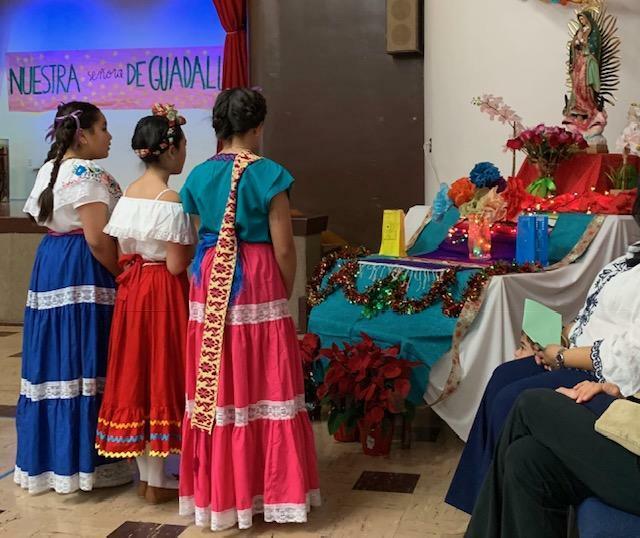 Through prayer, games, songs, videos, art projects and drama students will be introduced to basic vocabulary and phrases. Some of the main vocabulary topics will include: greeting, learning how to state your name, classroom objects, numbers 1-15, colors, days of the week, directions, animals, adjectives, body parts, clothing, family, community, food and feelings. 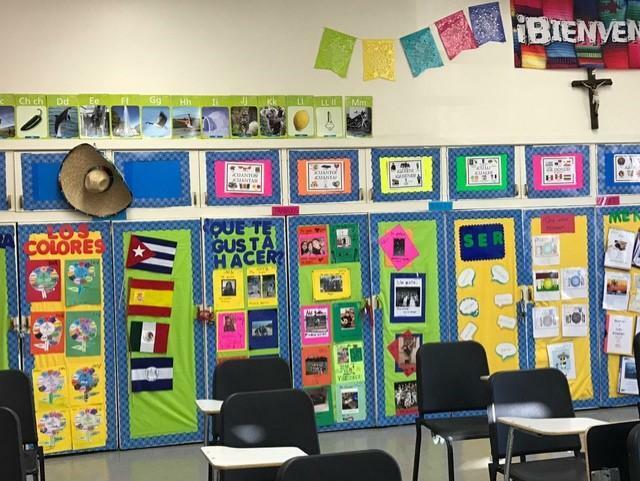 The third, fourth and fifth grade Spanish curriculum is designed to promote basic language and expand both their vocabulary and conversation skills. In addition to new vocabulary, such as numbers 20-100, sports, weather and verbs, students will have the opportunity to develop their speaking skills as they will work on communicating in small groups throughout the school year. Students will learn a variety of new questions and phrases ranging from telling time to describing their food likes and dislikes. They will also learn how to form sentences and they will be introduced to reading, writing and basic grammar, such as masculine and feminine words, articles and punctuation. While all grades will work on the same material, the scope and depth of the work they are doing will depend both on their age as well as their skill level. This course emphasizes the basic level of standards five categories of world language learning: Content, Communication, Culture, Structures and Setting. We use Realidades 1textbook edition 2015. Engage in oral and written exchanges to socialize, to provide and obtain information, to express preferences and feelings and to satisfy basic needs. Present information in oral and written form in a variety of formats such as basic scripts depicting real life situations, small essays and oral presentations. Demonstrate an understanding of practices and products of the people of the cultures studied. Use the language to obtain, reinforce or expand knowledge of other subject areas in the school, community and beyond. 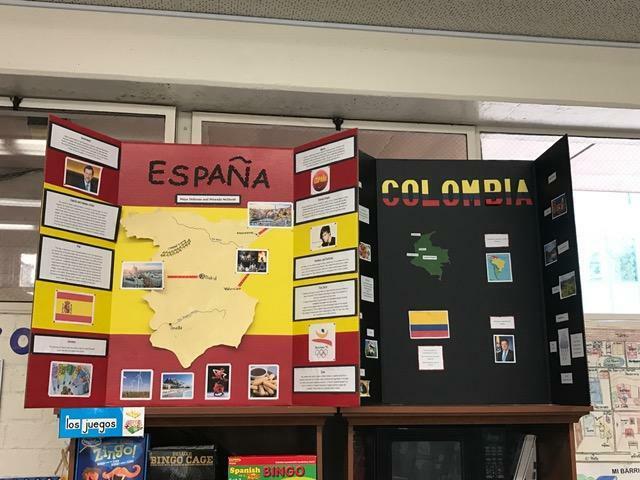 Understand the inter-relationship of languages and cultures by watching videos and listening to audio materials of Spanish-speaking culture. Use word recognition skills to read and listen for comprehension, identify the main idea, acquire information and expand vocabulary skills with a variety of materials.